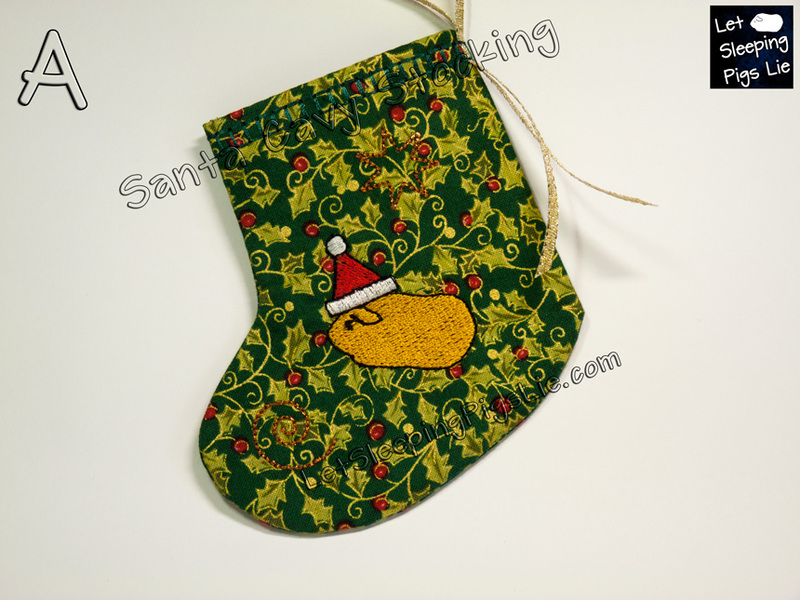 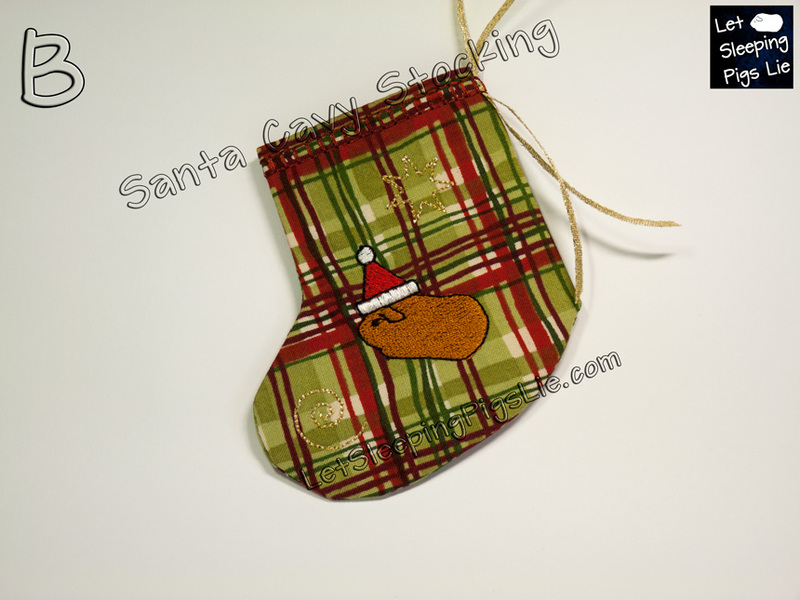 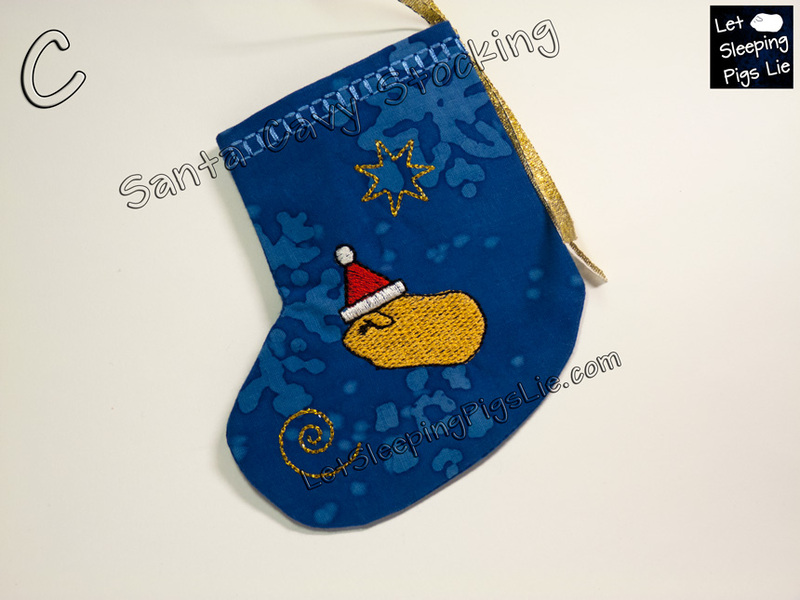 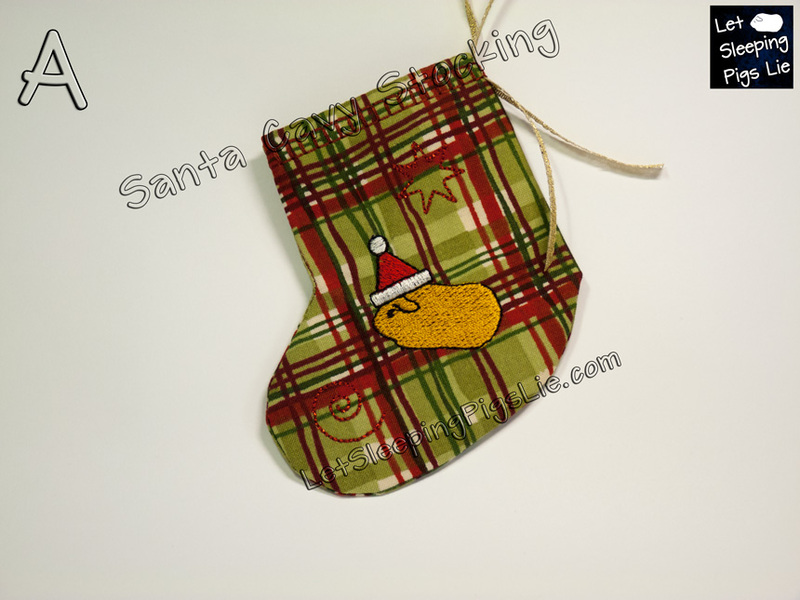 Lightweight and adorable, the Santa Cavy Stocking can be hung from your guinea pig's cage or your holiday tree. 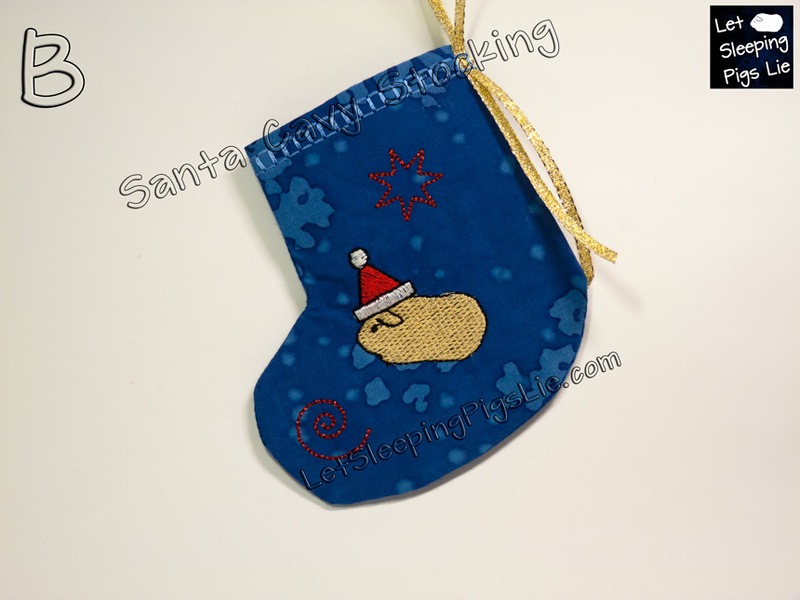 Stocking can hold a gift card or other small surprise! 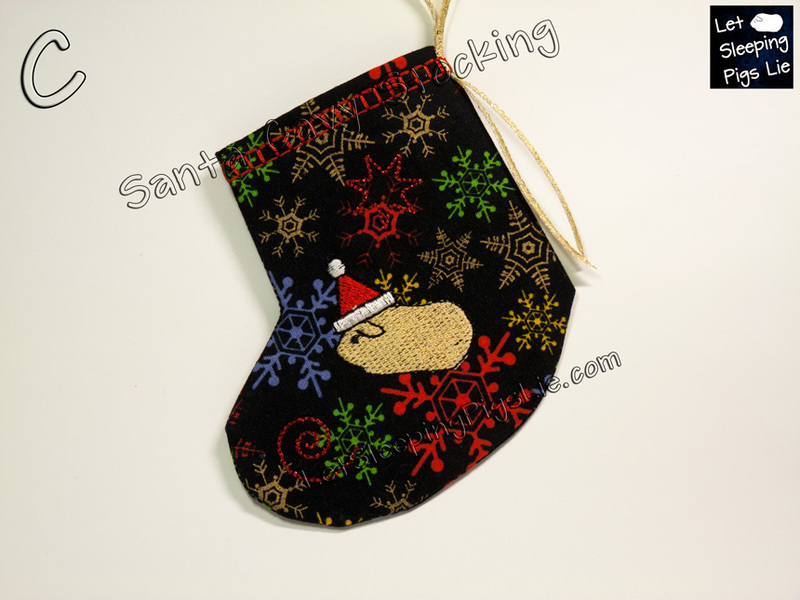 Stocking measures approximately 4.25 inches tall and 4 inches at the widest point (10.5 cm x 10 cm). 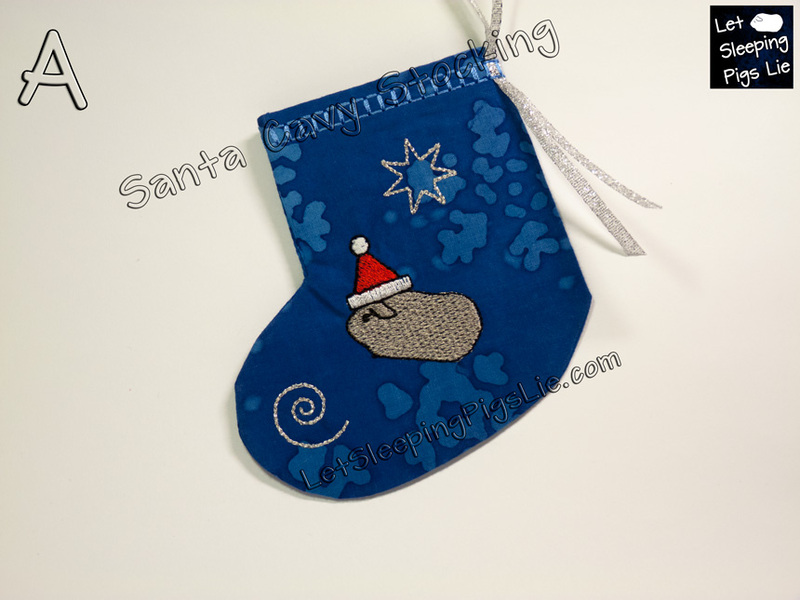 Ribbon loop is approximately 3 inches (8 cm). 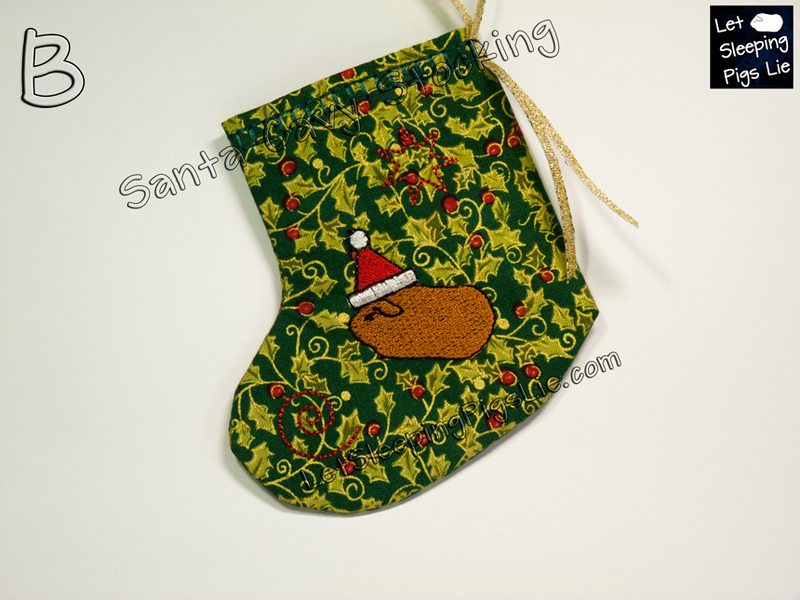 PLEASE NOTE: Not a toy for guinea pigs.